Top Rated Test Prep Tutors in Los Angeles, CA! Welcome to Los Angeles’s top-rated private test prep in-home tutoring service! All of the following Los Angeles test prep tutors are certified by Varsity Tutors, the leading tutoring agency in the country! 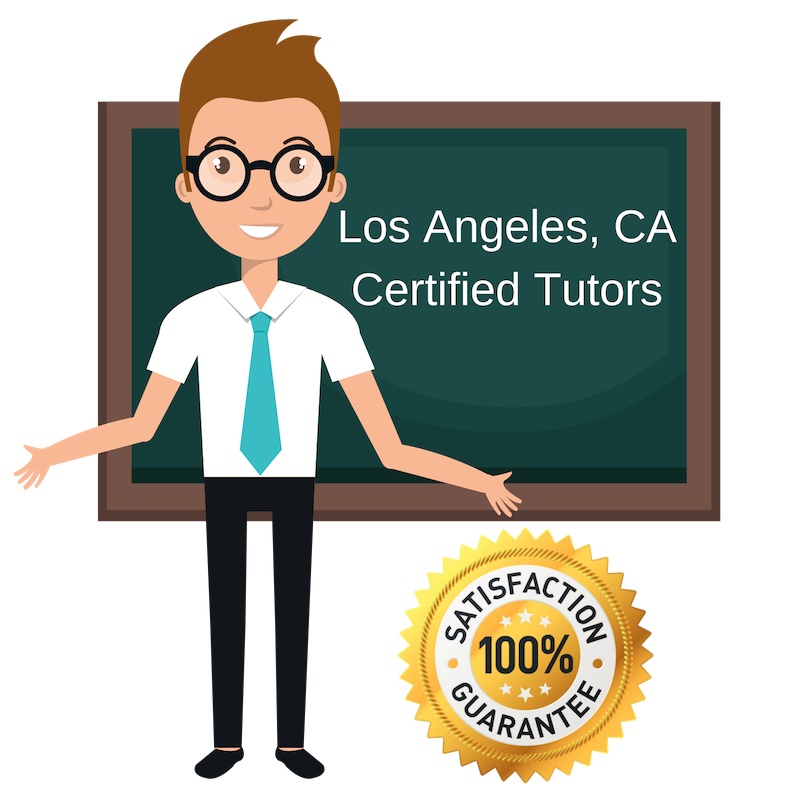 All Los Angeles test prep tutors have been background checked, been interviewed, had mock trigonometry tutoring sessions, and been trained by professionals. We guarantee you will love your local Los Angeles test prep tutor or your money back! Get information regarding a top-rated test prep tutor today! I currently hold a degree in pharmacology from Tulane University, a master’s degree in journalism from USC, as well as a bachelor’s degree in neuroscience. It would be fair to say that I am very familiar with test preparations, as I have studied three major topics during my university time. I want to prepare students for tests so that they can enter without any fear and be able to think for themselves. I am happy to help in the Los Angeles area. I have a Bachelor’s in Philosophy from UCLA, an M.F.A. in Writing and a Cognate in College Teaching from the University of New Hampshire, and I have completed the coursework for a master’s in English Composition from San Francisco State University. As someone who was been working in education since 2002, I know how important test prep is, which is why I am now offering these services in the Los Angeles area! Thank you! As a Civil Engineering and Architecture graduate, this demanding course has allowed me to gain a healthy perspective on test prep that I want fellow students to understand so that they can achieve their goals in any major whether it be in humanities or the sciences. I am based in Los Angeles as of now. I have a background in tutoring students from elementary age all the way to graduate school (GRE testing). I graduated from Temple University is 2012 with a major in Philosophy and minor in Religion. My extensive background has given me the confidence and enthusiasm to work with students of all ages and levels. I am currently a test prep tutor in Los Angeles. I hold a Bachelors degree in English Literature from the University of California in Los Angeles and enjoy reading, writing, sewing, music, architecture, art, and fashion. I like to view teaching as an open exchange. Each session is an opportunity for me to learn more about the psychology of learning, in order to improve my teaching skills. I approach each student with an open mind and encourage them with positive reinforcement and a uniquely modified attention to the individual’s special needs and capabilities. I am hopeful that a successful tutoring career can supplement my graduate degree as a teach test prep in Los Angeles.